More professional poker players from the United Kingdom headed towards World Series of poker, despite being a vote to “Brexit”. Fears of ‘Brexit’ hurting the world series of poker championship proved to be unfounded, a tournament official said on Tuesdays that the main event currently being played at Rio, in Las Vegas saw a big increase in the number of players from all around the world and especially from the united Kingdom and it means there is nothing like fear involved of ‘Brexit’. According to the report, a total number of 344 U.K poker players were participating in the WSOP Main event. It was 279 last year. 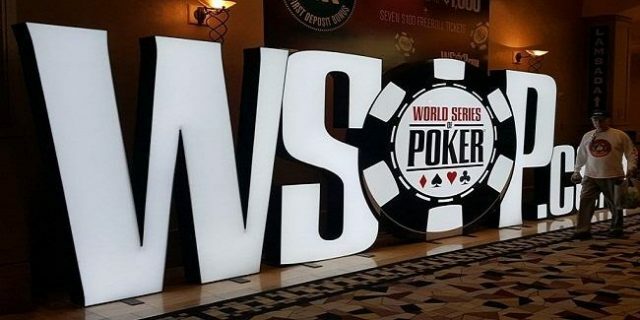 The WSOP main event spokesman Mr. Seth Palansky said that top prize for the tournament is $8 Million, whereas the total prize money to be distributed is $63 Million. The concern had been economic uncertainty in the country after the U.K voted to leave the European Union and that’s why the WSOP officials were thinking that” there may be a fall in U.K poker Players to the prestigious poker festival , currently in progress at Rio in Las Vegas”. Palansky also said that most of the players are from the United States and Canada and England, Scotland, Wales and Northern Ireland ranks third behind these countries. The 47th annual Main event of WSOP has received 6,737 players from around 80 countries and it is $10,000 buy in No Limit Hold’em event. The tournament will take place from Saturday and will conclude on Monday at the Rio All-Suite Hotel & Casino in Las Vegas. Out of 6,737, entrants, top 1,011 finishers will at least take home some amount of money. A pro from united States Joe McKeehen was the last season WSOP main Event winner, who then took home $7.68 Million as first prize.